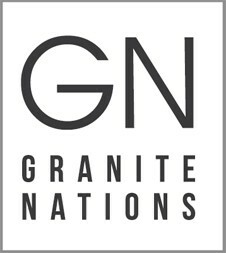 If you are planning to install a new kitchen countertop in the GTA, Granite Nations is here to serve you. We design, build and install new countertops and cabinets in your traditional kitchen to update it and make it more attractive. For many years, we have been assisting our clients for providing the luxurious kitchen and bathroom with high-quality granite installations. When you install a new cabinet in your kitchen, it improves the look of your kitchen as well as increases the storage space. The cabinet installers at Granite Nations are skilled to install custom kitchen cabinets in the GTA that are designed to meet with your lifestyle. Whether you are on a low budget or looking for something specific, our variety of designs with durability will definitely meet your requirements. At Granite Nations, our experts also assist our clients in choosing the perfect match for their home along with design and installation of kitchen countertops. We ensure to provide high-quality products to our clients.